“Today is another sad day for South Carolina. The politicians in charge continue to fail this state. Extremism and corruption are rampant and crippling any hopes for progress. Our Republican Lieutenant Governor has been forced to resign amidst some of the most serious corruption charges our state has seen in a long, long time. State Leaders Busted for Lying about "Dead Voters"
Charleston, SC - Today the South Carolina Election Commission released the results of its investigation into Republican accusations that over 900 dead people voted in recent elections in South Carolina. The report proved that these allegations were completely unsubstantiated, and there is no evidence that any dead people voted in South Carolina. "It is pretty clear now that Attorney General Alan Wilson and Nikki Haley's DMV Director Kevin Shwedo have fabricated a fairy tale about "900 dead voters" in South Carolina, in order to justify support for a voter ID bill, which has already been declared discriminatory by the US Department of Justice. Gordon Gekko endorses Mitt Romney! This evening, SC Forward Progress facilitated "Gordon Gekko" of Wall Street fame endorsing Mitt Romney. 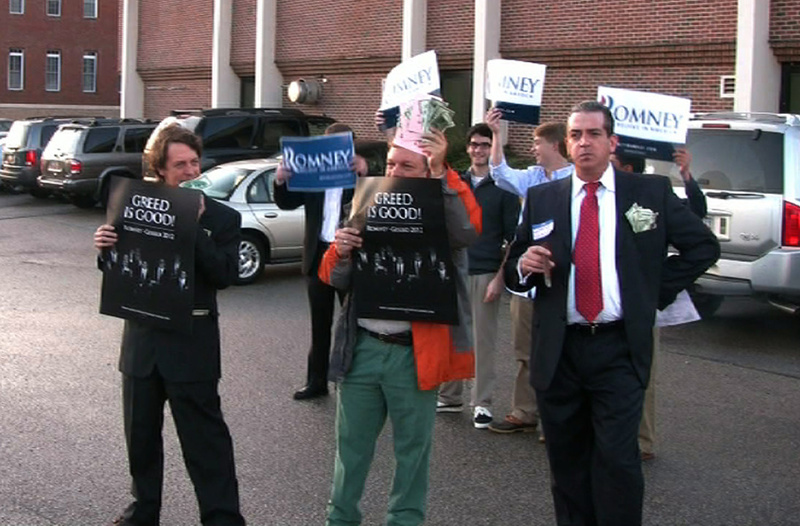 Romney supporters were quick to get behind our effort. Click here for Gekko's letter endorsing Romney [pdf]. American Prospect: "This Is What Mittmentum Looks Like"
Buzzfeed: "Fake Press Release: Gordon Gekko Endorses Romney"
LA Times: "Romney Focuses on Economy and Unemployment in South Carolina"